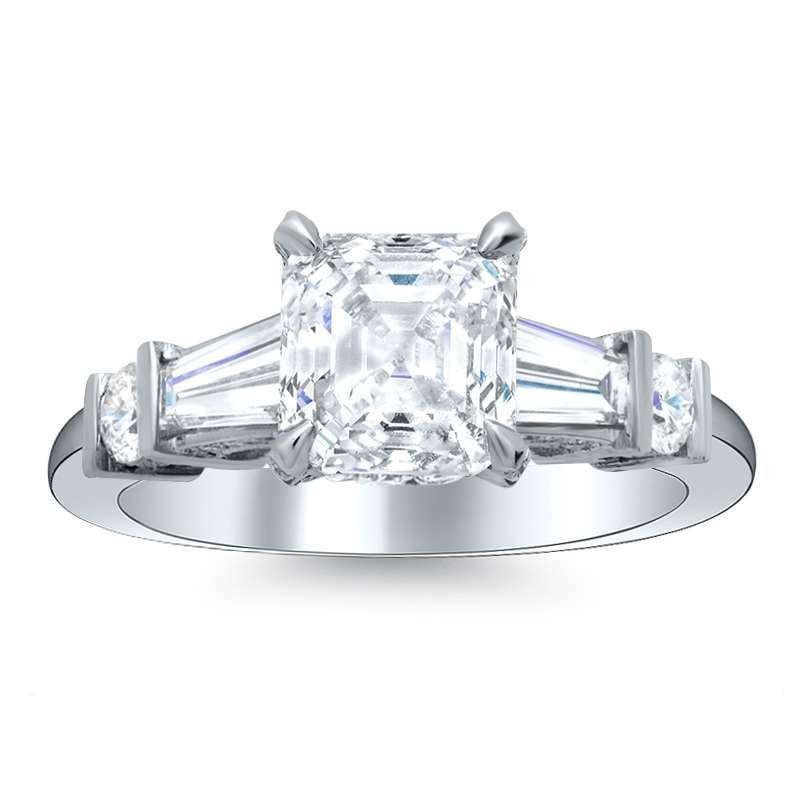 Leave your loved one speechless with this striking natural, round cut, baguette diamond engagement ring. The only answer she can give you is “YES!” when she sees the amazing detail of three layers of side-stones leading to the center stone that is a large statement piece. Adding to the beauty are more diamonds that accentuate the shank. Nothing is more beautiful than a ring that sparkles and shines from all angles and this ring offers you class and glamour effortlessly. 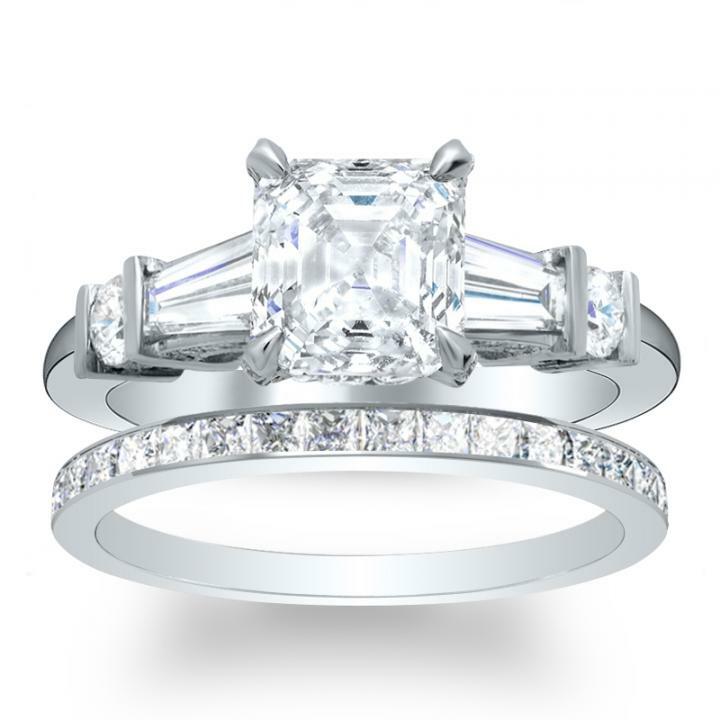 Customize this ring and make it truly come from your heart with the help of Diamond Mansions' Rings, who specializes in an “A+” experience and matching your love one with the perfect ring!